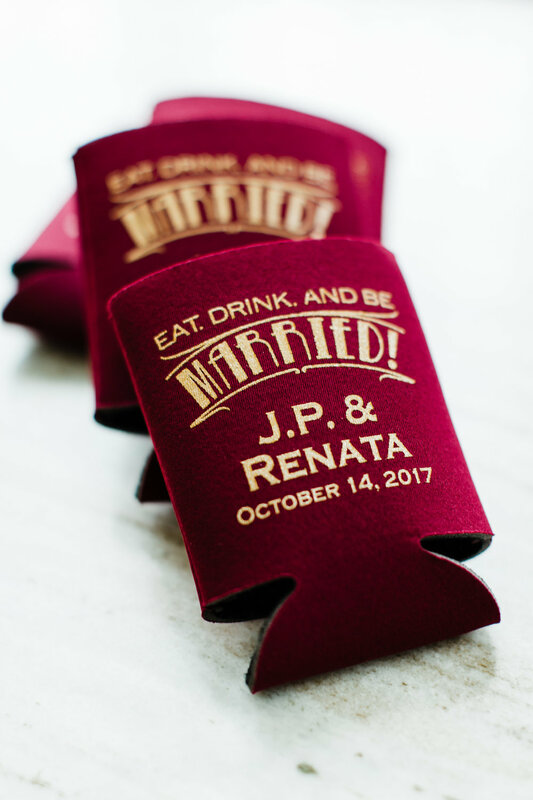 Renata and J.P.’s “theatre wedding”, on October 14, 2017, was nothing short of sensational! The black tie optional affair took place in West Palm Beach, FL at Harriet Himmel TheaterCity Place. 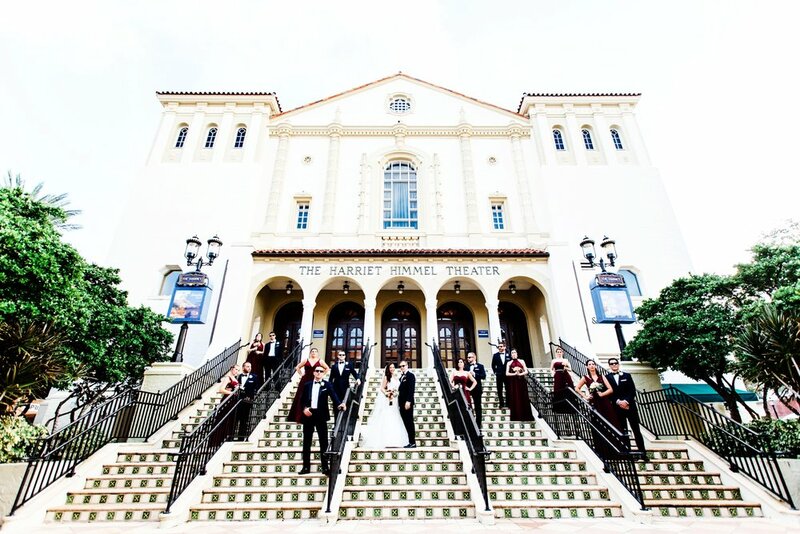 The Himmel, a cultural landmark and converted theatre, made a stunning backdrop for the occasion which featured newlyweds in a choreographed dance routine. 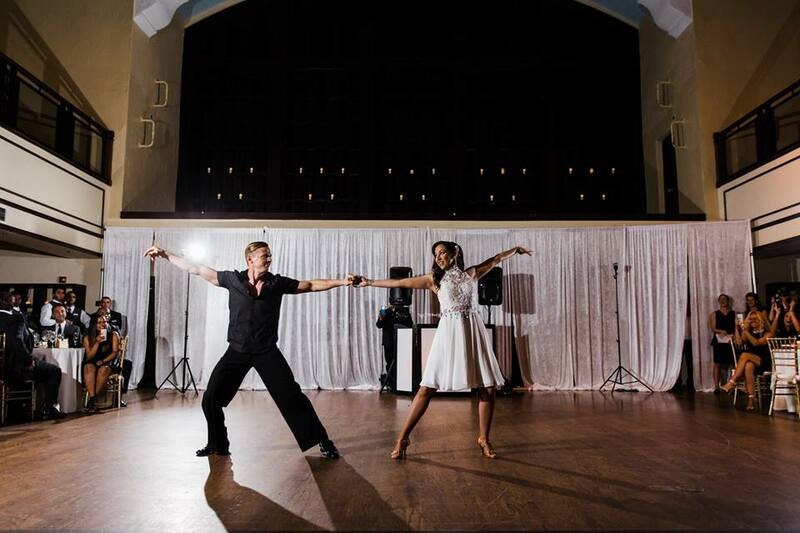 The pair performed 2 choreographed dances for their guests – the first, a smooth number set to Whitney Houston’s "My Love is Your Love", followed by a sultry, sensuous dance to Dirty Dancing theme song, "The Time of My Life". Bride Renata, who has a passion for theatre, sparkled as she twirled gracefully on the arms of handsome groom, J.P. The unique wedding truly did not lack for style, flare nor swagger! Renata and J.P. trained for months with dance lessons at Fred Astaire Dance Studio to make their ballroom dance wedding dreams come true. 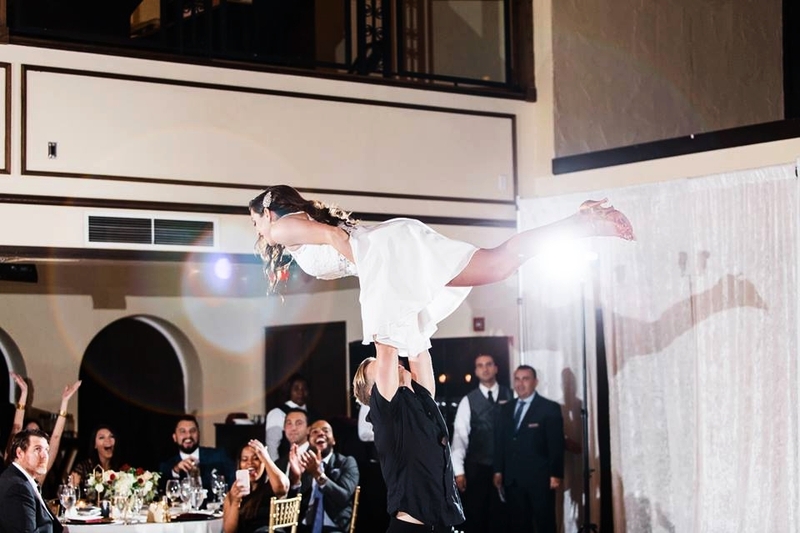 After exchanging vows, they made a grand entrance onto the dance floor, complete with stage lighting, an MC announcing the duo, and a videographer to capture their dazzling performance. The Harriet Himmel Theater was constructed in 1926 in the Spanish Colonial Revival style. Full of old-fashioned glamour and sophistication, it’s a charming venue for any special occasion, or theatrical performance. After Renata and J.P.’s dance, the Himmel staff (managed by Hilton West Palm) did a 1 hour change over from the ceremony to reception, while guests watched from the landing above during cocktail hour. It was quite the production! The décor was full of panache and classy touches, with dramatic pops of crimson and burgundy florals offsetting the stylized 20s setting. The Brazilian dessert table was a nice addition, too, with its adorable mini ferris wheel of confections. 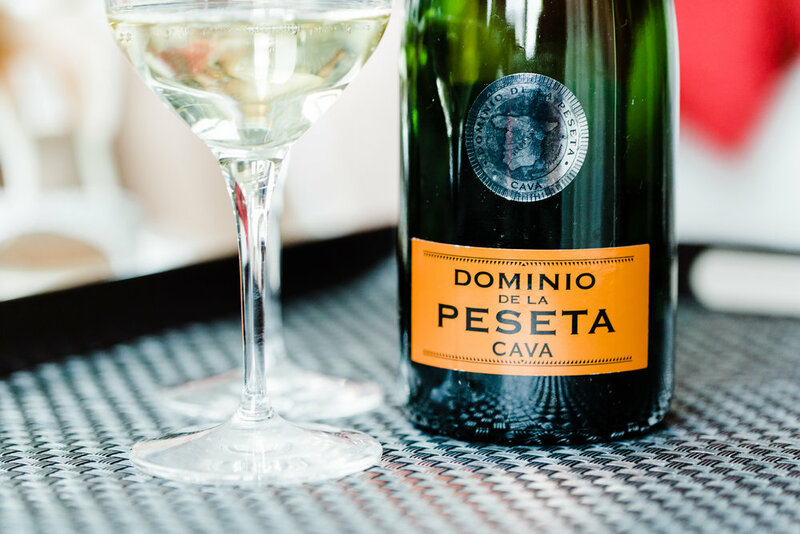 After their incredible entertainment-packed wedding Renata and J.P. took off for their honeymoon, on a jet-setting trip around Europe. This wedding -- just like the couple -- was stylish, footloose and fancy-free, don’t you agree?